Electrico FC (Proliga) signed 28-year old naturalized Bissau-Guinean forward Josimar Cardoso (201-100kg-87). 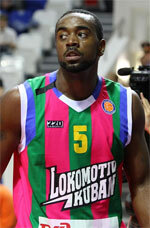 He has played for the last three seasons at Sport Alges e Dafundo (LPB). In 26 games he had 10.6ppg and 4.8rpg last season. The list of the past achievements is quite long as among others Cardoso played in the final of Portuguese Proliga in 2012. He was also voted Eurobasket.com All-Proliga Most Improved Player of the Year and Eurobasket.com Proliga All-Domestic Players Team back in 2012. Cardoso represented Portugal at the Lusofonia Championships in Lisbona (Portugal) six years ago. He has played previously for six other Portugal teams: Queluz, Fisica, Ginasio, Belenenses, Lusitania and Atletico.